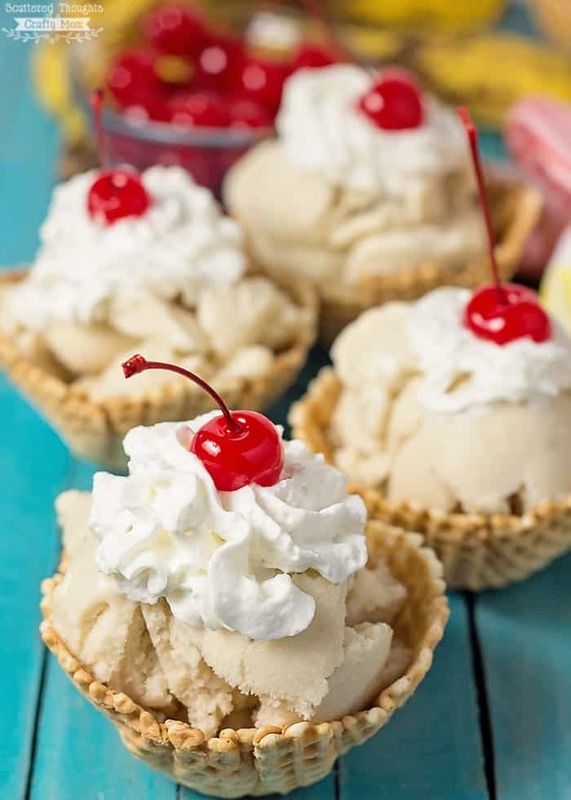 This Piña Colada “Ice Cream” is easy to make, (no ice cream maker needed) low in sugar, and makes a fabulous healthy treat for a hot summer day! Hubby has been buying bananas in bulk from Sam’s club for the kids to snack on. I keep telling him to stop buying bananas from Sam’s because we just can’t eat them fast enough. He keeps bringing them home anyway and this means, I have a freezer full of frozen bananas! 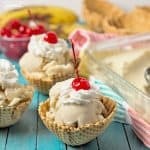 As part of my power snacking series, I’m sharing this fabulous recipe for Piña Colada “Ice Cream! today” The ice cream is made with frozen bananas, pineapples and coconut milk. The extra ingredients keep the bananas from overpowering the flavor of the “ice cream” and the entire family will love this naturally sweet treat! optional: 1 to 2 tablespoons of sugar- this will depend on how ripe your bananas are. Just give it a taste. Combine frozen fruit in a blender or food processor and process till smooth. (Taste and add sugar if needed) The mixture will be fairly soft and can be eaten immediately as soft serve or a smoothie. If you prefer to eat it as ice cream, transfer mixture to a freezer safe container and freeze for 2 to 4 hours. Add additional toppings if desired and Enjoy! 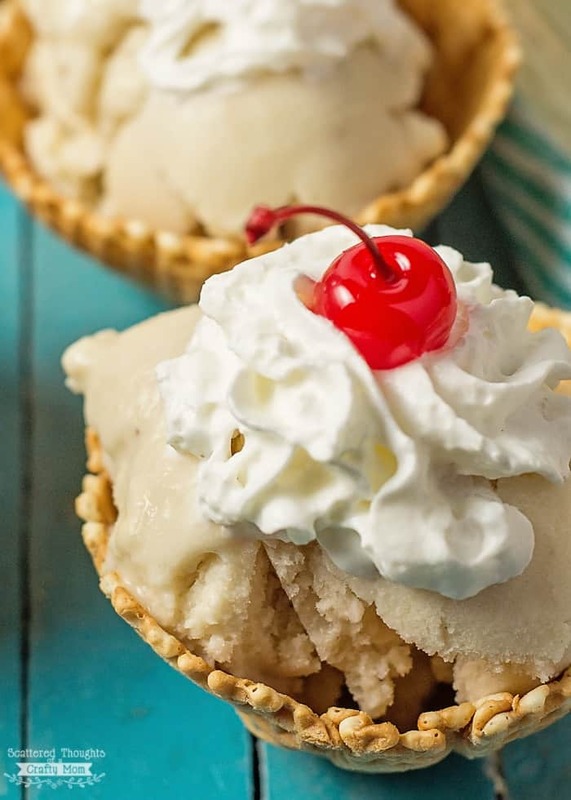 Tip: if “ice cream” is hard to scoop, just let it sit on the counter 5 to 10 minutes to soften. 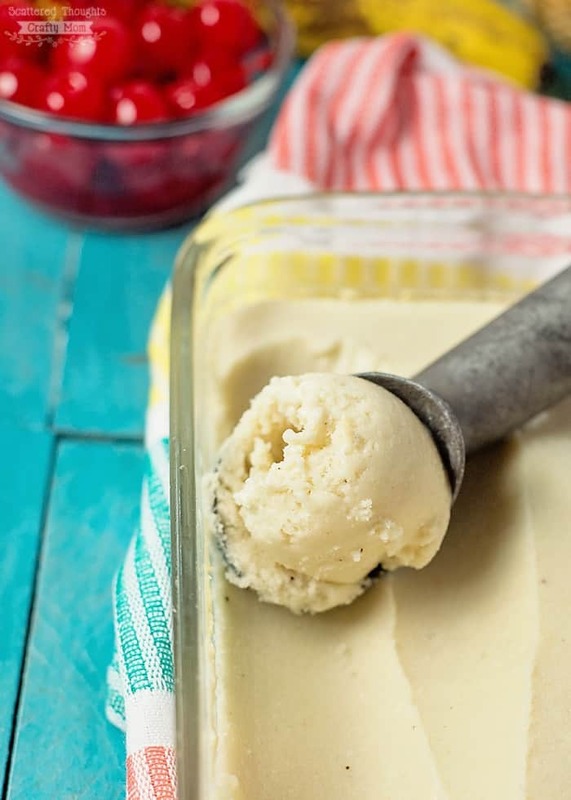 What is your favorite way to use frozen Bananas? Sound off in the comments below! The instructions don’t mention the coconut milk do you just put the entire can in? Yes, sorry about that! Blend the fruit and coconut milk together like a smoothie. You can eat it as is or put it in the freezer so it will be more like ice cream. Which is what I did.